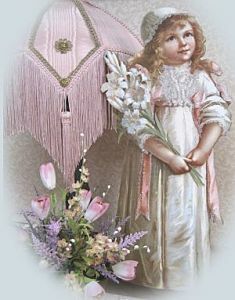 This adorable little girl is wearing a victorian cap and white dress with ruffles. Pink ribbons adorn the sholders and waist. 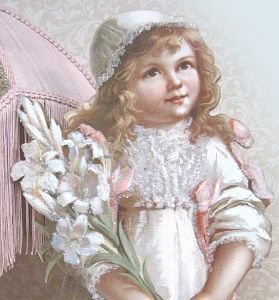 She is holding a boquet of white lilies and touched with glitz adding to the charm. 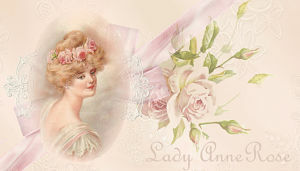 These pieces are great for setting a theme and can be used on floor, table, shelf or mantle.